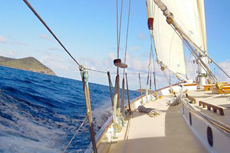 Sail from St. Thomas to nearby St. John for an afternoon on the smallest, quietest, least populated and most secluded of the three U.S. Virgin Islands. 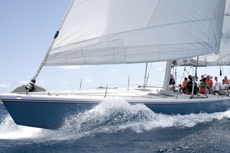 Take to the seas on a private catamaran charter to experience the bliss of St. Thomas' scenic coastline and crystal blue waters. 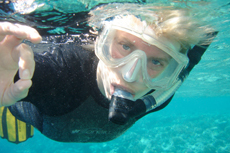 To add more adventure to your day, choose an excursion that offers snorkeling and other activities as well! 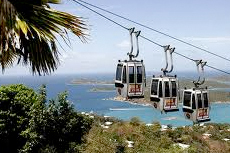 Enjoy panoramic views of the port's harbor and mountains from 700 feet above sea level on a Paradise Point Skyride in St. Thomas. 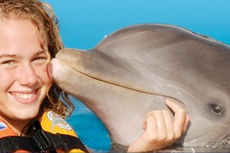 Kon Tiki tours are great if you're interested in their lively atmosphere. 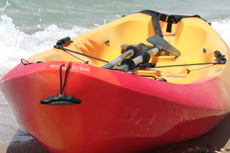 They have on board activities and will be cruising you to the sweet shore spots so you can get right to relaxing from start to finish. 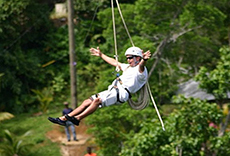 Soar high in the St. Thomas rain forest of St. Peter Mountain. 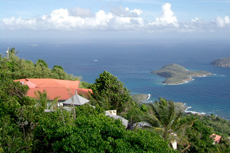 Traverse 8 platforms with stunning views of Magen's Bay, the BVI and beyond. 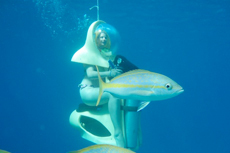 View the splendors of the sea -- no diving experience necessary -- on a underwater scooter excursion as you enjoy the stunning colorful sigh and tropical reefs of St. Thomas. 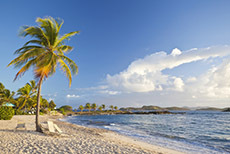 Sapphire Beach Resort and Marina is the perfect destination for travelers looking for caribbean relaxation and comfort. 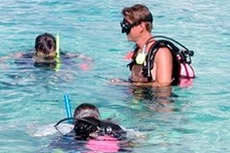 An excursion geared for beginner scuba divers -- plunge into St. Thomas’ waters to visit gardens or coral and schools or unique marine life. 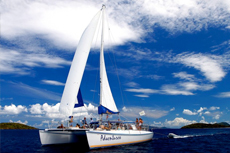 Sail away from the bustling island of St. Thomas to a quiet reserve to participate in swimming and snorkeling on a private beach -- perfect for children and adults alike. 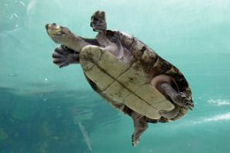 Dive deep below St. Thomas’ surface for a tour of the island’s sea bottom floor. 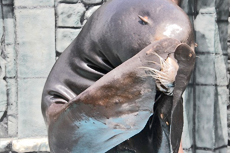 Encounter spectacular marine life as you become one with the Caribbean habitat. 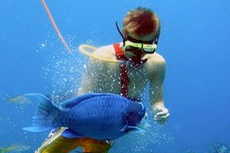 Excursions geared for certified scuba divers offer dives into St. Thomas' waters to visit gardens of coral and schools of unique marine life. 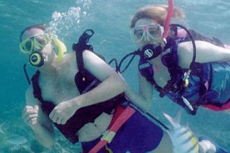 Not quite snorkel and not quite scuba, snuba is a unique way to discover the beauty of the coral reefs and exotic fish in St. Thomas. St. Thomas Food Tours: What's better than getting fed while receiving a serious education about St. Thomas' history and culture? Beyond the shopping, be sure to include this locally owned and operated food tour. 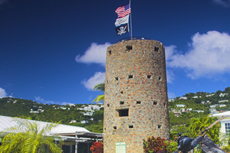 You'll indulge in drinks and bites from around Charlotte Amalie while equally gorging upon information about historic sites like Fort Christian, a national historic landmark that dates to the 17th century, or the 99 Steps (though there are actually 103) to experience historic downtown's finest neighborhood with lovely 19th-century plantation homes. St. Thomas Synagogue: The local synagogue is the Western Hemisphere's second-oldest synagogue (the oldest is located in Curacao). It was built in 1833 by Sephardic Jews and is open for tours. The floor is covered with sand symbolizing the flight of the Jews out of Egypt and across the desert (Raadets Gade and Crystal Gade; 340-774-4312; open 9 a.m. to 4 p.m. Monday to Thursday, 9 a.m. to 3 p.m. Friday). Mountain Top: A great viewpoint can be found at the island's highest point at 1,500 feet, which also features tourist shops and is popular with the tour bus crowd (3A-18 St. Peter Mountain Road; 340-774-2400; open 9 a.m. to 5 p.m. daily, free). Be sure to order a banana daiquiri -- they're famous. On the way in or out, stop off at Phantasea, a tropical botanical garden near Mountain Top open on ship days and weekends. Pirates Treasure: A Shipwreck Museum and Store: This unexpected museum manages to impress with its scientific treasure-hunting techniques and equipment, fascinate with interactive storytelling (including VR) about pirates through the island's history, and also entertain with plenty of photo ops and amusements for kids to also take part in the fun. Attached is a souvenir shop that includes a serious collection of rare and antique coins and other "treasures" along with the standard plush seals and candy bars. The Shipwreck Museum is within walking distance of the Havensight cruise terminal; most days a deadringer for Johnny Depp's Captain Jack Sparrow can be seen cavorting on its balcony. Frenchtown: Go for a stroll before lunch through this part of town opposite the harbor from Havensight. This eclectic neighborhood was settled in the 18th century by French Huguenots from St. Barth's and is now a neighborhood of fishermen. It is still home to some original descendants, and you can occasionally hear locals conversing in French. Frenchtown Brewing is located here, a mom-and-pop microbrewery tucked away on 24A Honduras, that offers free tastings. Contact them in advance for tours through frenchtownbrewing.com. 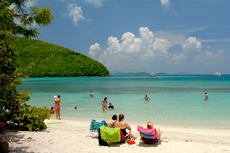 St. John: For repeat visitors, nothing beats a day trip to one of the other Virgin Islands just a quick 15-minute ferry ride away. 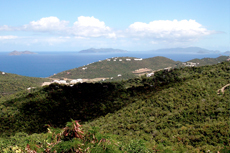 Check out our St. John port profile for more details. 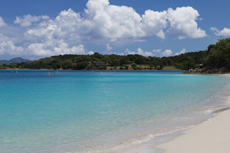 Best for a Half-Day Visit: Magens Bay, St. Thomas' (and some would say the world's) most gorgeous -- and calmest -- beach, is a 20-minute taxi ride. The facility includes a bar, a cafeteria-style eatery and one of the island's best shops for casual wear and bathing suits. A small admission is charged. 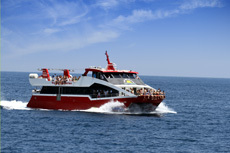 The fewer ships in town during your visit, the more enjoyable your visit. 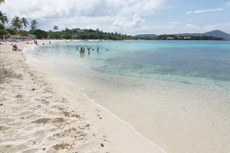 Best for Active Types: Coki Beach, adjacent to Coral World, is a well-known -- and crowded -- destination for snorkeling and scuba diving (equipment can be rented there). For fewer lines and a better atmosphere, try Secret Harbour, which also has a water equipment rental shop and a nice -- though pricy -- beach bar (Note: Sapphire Beach, a perennial favorite because of its views of St. John and the British Virgin Islands, has closed its rental facilities, and taxis are discouraged from parking there). Best on Water Island: If you're looking to add another island to your list, it's hard to beat Honeymoon Beach on Water Island, the "fourth" Virgin Island. Once fairly secluded, it's become busier with ships docking at Crown Bay Marina, as the water shuttle leaves from the same area. Times for the water shuttle are subject to change, but it generally leaves the marina on the hour, Monday to Saturday, until 9 p.m. On Sundays, ferries leave Crown Bay at 8 a.m., 10 a.m., noon, 1:15 p.m., 3:15 pm and 5:15 p.m. and costs $10 roundtrip. Tip: The burgers at Heidi's Honeymoon Grill receive raves. 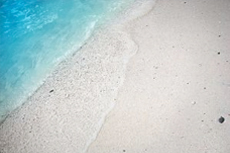 Best Secluded Beach: On those days when you really want to get away from it, head down to Brewers Beach, which is past the airport close to the University of the Virgin Islands. While you won't find rental facilities (there is a restroom), the beach is a lovely place to lie out with a towel; you can also watch the planes come and go at the nearby airport. Food trucks set up nearby daily.